Anna Brones is a writer, artist, publisher, and producer. 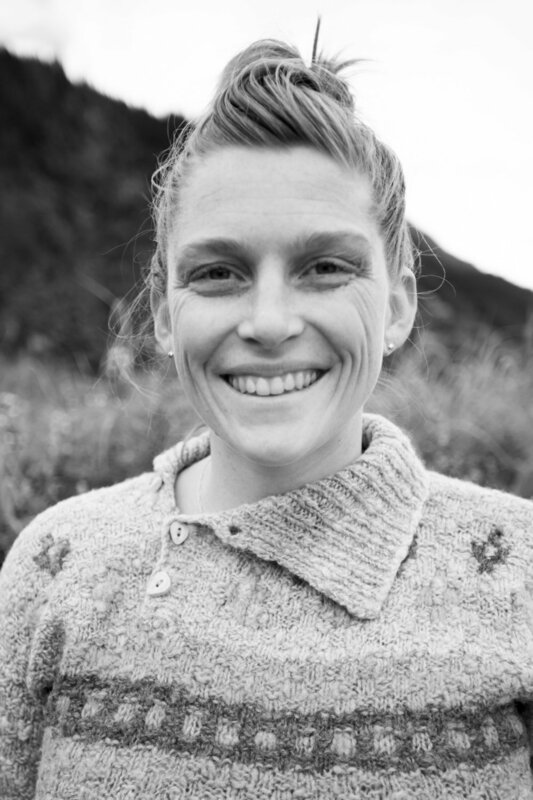 Her books include The Culinary Cyclist, Fike: The Art of the Swedish Coffee Break, Best Served Wild: Real Food for Real Adventures and Life Lagom: Balanced Living the Swedish Way. She is the founder and publisher of Comestible, a bi-annual zine about food and her writing, books and recipes have been featured in places like Saveur, The New York Times, T Magazine, Eater, Cool Hunting, Food52, Bicycling, Sprudge, Adventure Journal, Adventure Cyclist and more. She works as a papercut artist, creating graphic illustrations from a single piece of paper. Currently Anna is working on the Women's Wisdom Project, a series featuring 100 papercut portraits of amazing women and their insight. If you could go on a bike ride anywhere, where would you go? "That is very hard to choose. If I had to pick, I would say it would be either a bike tour across Scandinavia, visiting some of the places that I've always wanted to go but never gotten around to, and do it in the summer to take advantage of the midnight sun, or in Georgia (the country not the state) and exploring the local food and wine culture." What inspired you to start the #womenswisdomproject? "At the beginning, I kept thinking of what it would be like to be able to have a party where a bunch of women idols would come and all provide me with tidbits of advice. So, part of it was born for selfish reasons, that I wanted a collection of wisdom that was meaningful to me. At the same time, I came to the realization that whenever I was interested in a certain topic, I would gravitate to the work of women to find out more. Be it food, literature, politics, I wanted to know what the female perspective was. That was the initial impetus, as well as just wanting to showcase women's voices, who I often think don't get the platform they deserve. As the project has moved forward, I've been reminded of how we all have wisdom to learn from each other and to give each other. I've been starting to interview some friends for the project, digging deep with bigger conversations than we might usually have. So, as I work on the project, I am basically always thinking 'what can I learn from that woman?' and I have realized that I can learn from all the women in my life." How would you say the outdoors intersects with your creative process? "I grew up in the Pacific Northwest and moved back to my hometown a few years ago. I would say that I have a need for daily interaction with nature. That doesn't mean big landscapes or epic sunsets, but it means looking at the underside of a leaf and studying the veins, being hynotized by the reflection of a tree in water or watching a foxglove long enough to see a bee land on it. I think that my creative process is definitely inspired by those smaller moments." What is your favorite way to drink coffee? And what's your favorite place to drink it? "I drink my coffee black (usually pour over) and preferably outside. Do you have any other upcoming creative projects you can tell us about? "I'm doing a creative residency at Blodel Reserve on Bainbridge Island in August. My project that I am going to be focusing on while there has to do with the idea of solitude and getting away from distraction. That's something that we all struggle with in the digital age, so I am excited to explore it more. I am also co-leading a workshop devoted to creativity in October with my friend Sara Close of Hello Soul Retreats that I am really excited about as well." To learn more about Anna Brones, follow her on Instagram here and check out more of her artwork and writing on her website. You can also support Anna and her art here.